The Cub Cadet LT 1024 lawn tractor uses a hydrostatic transmission system, which means that hydraulic fluid is moved to make it go forward or in reverse. If your mower is on but you can't move it in either direction, the hydrostatic transmission controls and other related systems should be examined. A stuck parking brake can keep your mower from moving. The Cub Cadet LT 1024's transmission must be disabled when moving the mower manually. This is done by disconnecting the hydrostatic relief valve so that the wheels can move freely. When this happens, the transmission won't engage after engine start. The hydrostatic transmission is a closed system that doesn't allow you to verify fluid levels or condition. If you see a leak, the operator's manual recommends you to take your mower to a dealer. The hydrostatic transmission system is operated by levels instead of a gear shift. If anything obstructs the forward or reverse control on the pedals, it can prevent your LT 1024 from moving. Check the pedals for damage or obstruction. 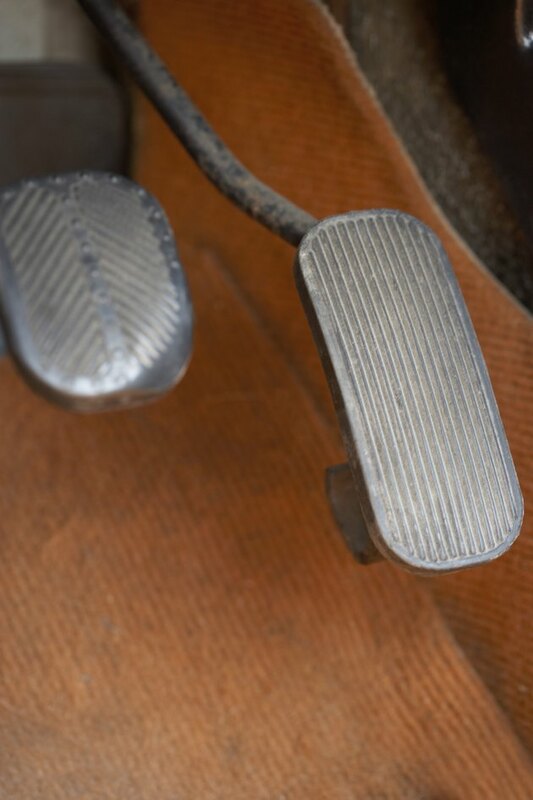 Also check the parking brake to see if it's engaged, a condition that will also prevent your mower from moving. If you've depressed the parking brake and it doesn't release properly, inspect for obstructions or damage to the linkage. The LT 1024's transmission is driven by a belt system. V-belts connect hydraulic pumps to the axles, while a drive belt connects the engine to the hydraulic pump. While minor cracks on V-belts are normal, they should never be loose. If they are, replace them immediately. Inspect the drive belt to see if it's loose or worn. Replace as necessary. Also inspect the pulleys for any damage that may be causing the drive belt to wear out early. External items or deck settings can prevent your mower from shifting. The Cub Cadet LT 1024 owner's manual suggests that there are limitations to operating your mower on sloped surfaces. If you adjust your deck too low while going up on a slope, it can get stuck on the ground or other objects. Also inspect the tire and undercarriage areas to ensure nothing is obstructing movement. How Do I Troubleshoot Exmark Laser Z Mowers?